DNA methylation is a major epigenetic modification involving the addition of a methyl group to the 5 position of cytosine by DNA methyltransferase to form 5-methylcytosine (5-mC). This epigenetic mark has the power to turn genes on or off and can be inherited through cell division. DNA methylation was the first epigenetic mark to be discovered and it plays an important role in normal human development, aging, tumorigenesis, and other genetic and epigenetic diseases. Similarly, DNA hydroxymethylation, caused by oxidation of 5-mC through the TET family of enzymes, was further discovered to be involved in controlling gene expression and is a key DNA demethylation process as part of the DNA methylation cycle. Techniques to measure 5-mC have developed over the years and can vary from heat-based to chemical-based methods. Bisulfite conversion is a popular technique used for preparing DNA for methylation analysis on a gene-specific level. 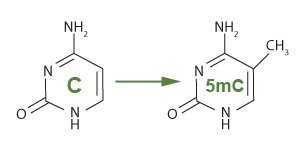 This process converts cytosine to uracil while leaving 5-methylcytosine intact to allow methylation analysis at single-nucleotide resolution. Not only is efficient conversion necessary, but recovery must be optimal due to the harsh chemical reaction which often degrades the DNA. Obtaining an overall view of a sample’s methylation status is a smart way to pre-screen your samples before pursuing downstream applications. Our MethylFlash global DNA methylation pre-screening tools can be used prior to more in depth investigation and costly sequencing. Conventional methods such as mass spectrometry or chromatography, which require expensive equipment or specialized expertise, are not necessary for this ELISA-based method. Also, unlike LUMA or LINE-1, Alu, and LTR-based assays, MethylFlash technology directly quantifies actual global DNA methylation. Additional methods for investigating DNA methylation include an antibody-based technique known as methylated DNA immunoprecipitation (MeDIP) that is used for studying gene-specific DNA methylation on a genome-wide scale, activity/inhibition assays that measure DNA methyltransferase (DNMT) and other enzymes related to the process of DNA methylation, as well as an amplification technique involving methylation-specific PCR (MS-qPCR) that is used for studying gene or sequence-specific DNA methylation. DNA methylation plays an important role in normal organismal development and in cellular differentiation in higher organisms. Gene expression, as well as the development of nearly all types of cancer, are also tied to DNA methylation. For example, global decrease in 5-methylcytosine content (DNA hypomethylation) is likely caused by methyl-deficiency due to a variety of environmental influences, and has been proposed as a molecular marker in multiple biological processes such as cancer. Global quantification of DNA methylation is crucial for understanding the roles that gene expression and silencing play in the development of cancer and other diseases. 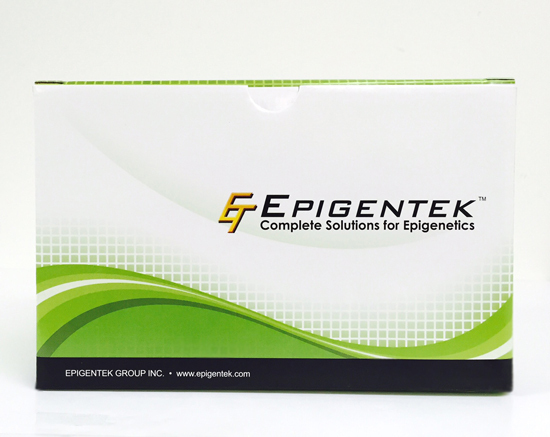 Methylated DNA immunoprecipitation (meDIP) is a large scale antibody-based technique that is used to enrich and capture methylated DNA fragments for use in gene-specific DNA methylation studies on a genome wide scale. Following meDIP approaches, DNA methylation can be analyzed using a variety of downstream applications including meDIP-PCR, meDIP-ChIP, and meDIP-sequencing. DNA methyltransferases, or DNMTs, catalyze DNA methylation by adding methyl groups to the 5-carbon position of the cytosine ring, resulting in 5-methylcytosine. The various types of DNMTs are responsible for the maintenance and establishment of DNA methylation patterns. 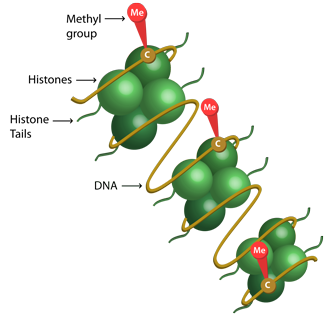 The ten-eleven translocation, or TET, family of 5-mC hydroxylase enzymes including TET1 are responsible for oxidizing 5-methylcytosine into 5-hydroxymethylcytosine. Measuring DNMT and TET amounts, activity, and inhibition levels will allow us to better understand the relationships between cytosine, 5-methylcytosine, and 5-hydroxymethylcytosine as part of the DNA methylation and DNA demethylation cycle. 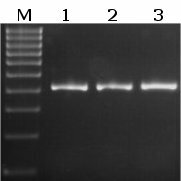 Methylation specific PCR (MSP or MS-PCR) and bisulfite sequencing are some of the most commonly used methods for analyzing gene or sequence-specific DNA methylation data, usually after bisulfite treatment of DNA. After conversion, selective methylation amplification of a target region of methylated sequences with methylation primers is often necessary in methylation analysis protocols.